My experience with Alpha Betic Multivitamin PLUS Extended Energy by Enzymatic Therapy has been great! Why should individuals with diabetes use a multivitamin? The right combination of ingredients can provide benefits. While multivitamins can help anyone fill nutritional gaps in their diets‚ studies show that people with diabetes need a multivitamin to maintain proper levels of micronutrients. It provides the optimal nutrients for individuals with diabetes need. 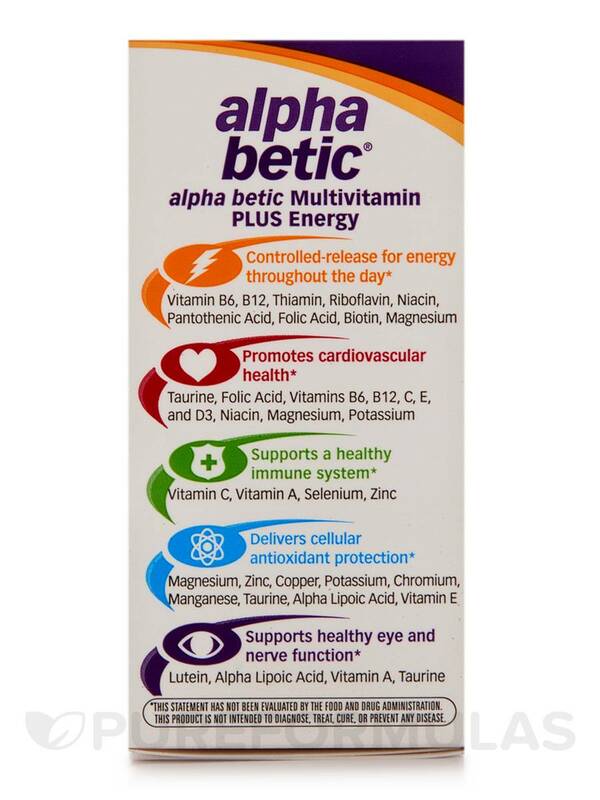 alpha betic® Multivitamin Plus Extended Energy is formulated with the right levels of vitamins‚ minerals‚ and other nutrients required to nutritionally support cardiovascular health‚ and eye and nerve function—including alpha lipoic acid‚ vitamin B12‚ chromium‚ lutein‚ biotin and vanadium. 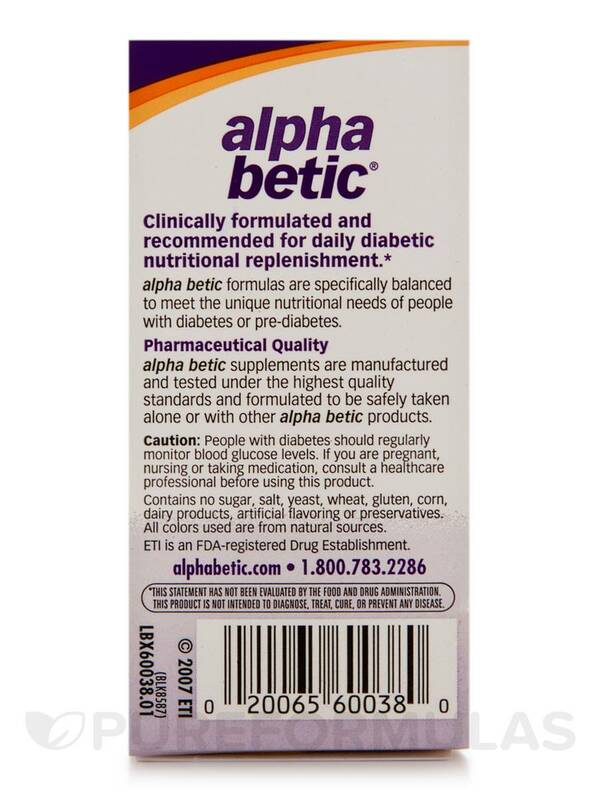 alpha betic® Multivitamin Plus Extended Energy contains clinical doses of 23 vitamins‚ minerals and co-enzymes to provide the nutrients that help restore deficiencies often experienced by people with diabetes. and it’s carefully formulated so there are no “mega doses” of any nutrient. It’s a convenient way to support a healthy lifestyle. 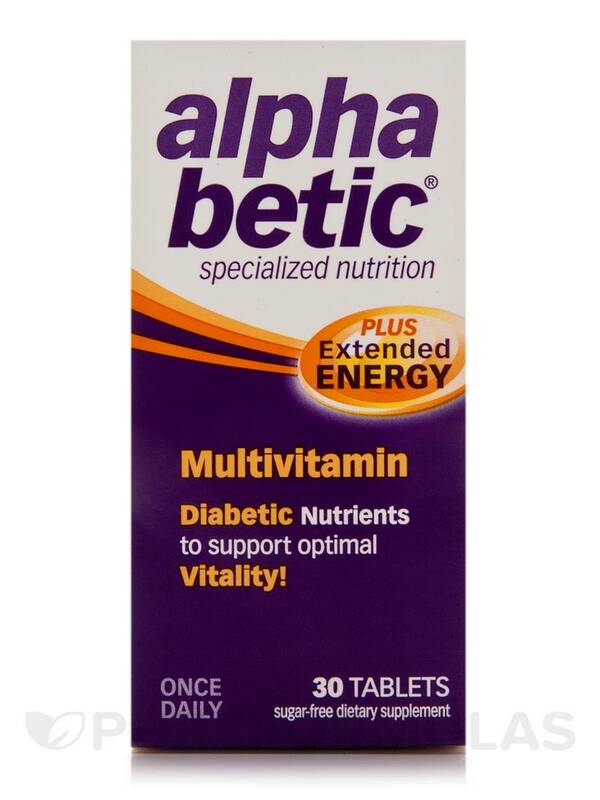 alpha betic® Multivitamin Plus Extended Energy is a simple‚ once-daily supplement. That makes it easy to remember and easy to support your healthy lifestyle. It can be used alone or with other alpha betic supplements. Other Ingredients: modified cellulose‚ magnesium stearate‚ polydextrose‚ silicon dioxide‚ titanium dioxide color‚ riboflavin color‚ maltodextrin‚ medium chain triglycerides‚ and soybean oil. 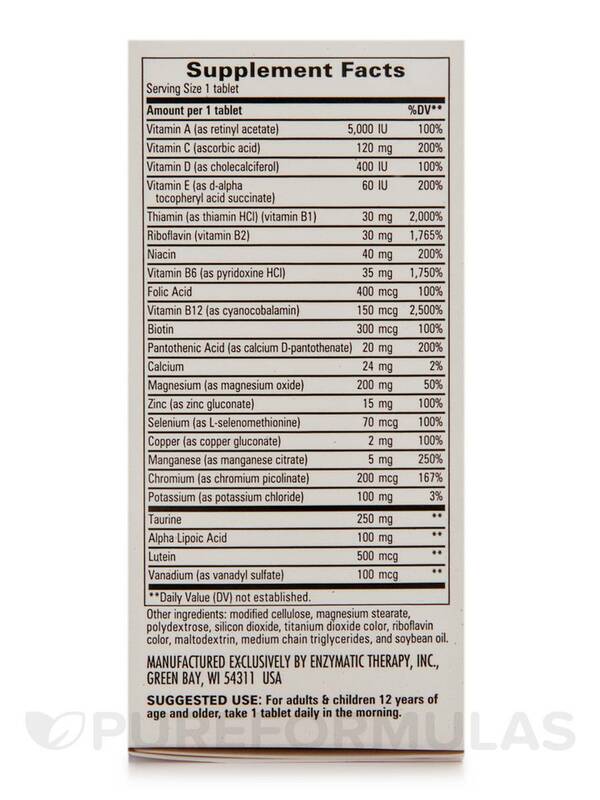 For adults & children 12 years of age and older‚ take 1 tablet daily in the morning. People with diabetes should regularly monitor blood glucose levels. If you are pregnant‚ nursing or taking medication‚ consult a healthcare professional before using this product. I like every thing about it.It' not over done.Not like some are over too much in it that makes you think are you getting all of it!